I have no problem satisfying my sweet tooth here in Warsaw. In fact, Poles seem to love their desserts even more than the Turks do! You’ll find a multitude of bakeries, chocolate and dessert shops as well as ice cream parlours in the city. So for this Valentine’s Day, I have plenty of options to choose from. 1. 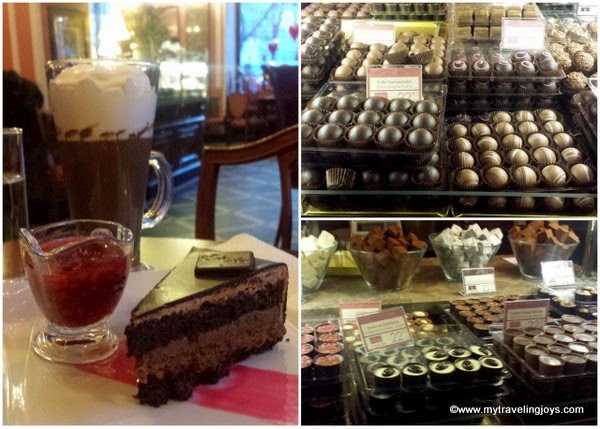 If you’re craving chocolate and rich traditions, then you must pay homage to Pijalnie Czekolady Wedel, ul. Szpitalna 8. Wedel is Poland's longest established chocolate manufacturer, since1851, and one of the best known brands here. Though there are several locations in Warsaw, my favorite is the original one located in what was once the factory and café of the Wedel business in Centrum. 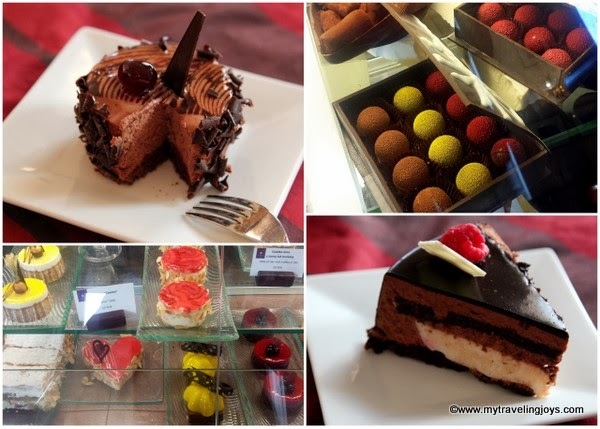 As tradition warrants, you must try one of the infamous hot chocolates and then treat yourself to a decadent piece of chocolate cake, ice cream sundae or delicious chocolate truffles. I bought a small box of truffles for us to enjoy during our romantic get-away this weekend. I’ll give the hot chocolate another chance, but so far I prefer my own homemade hot chocolate. 2. Stepping into A. Blikle, ul. Nowy Świat 33, is like being transported to an old-school café in Vienna. 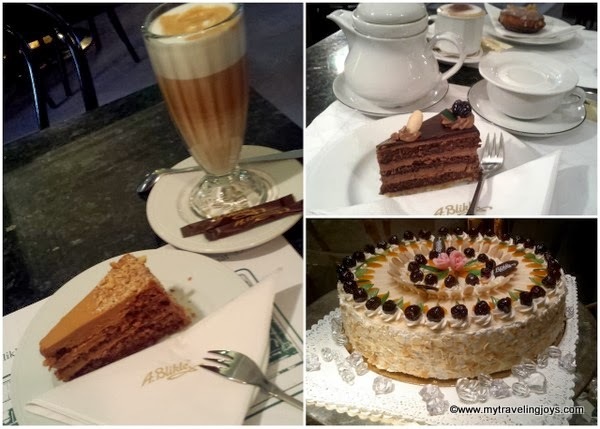 This classic café, dating back to 1869, specializes in traditional European cakes with thick layers of buttercream and perfect sponge cakes. 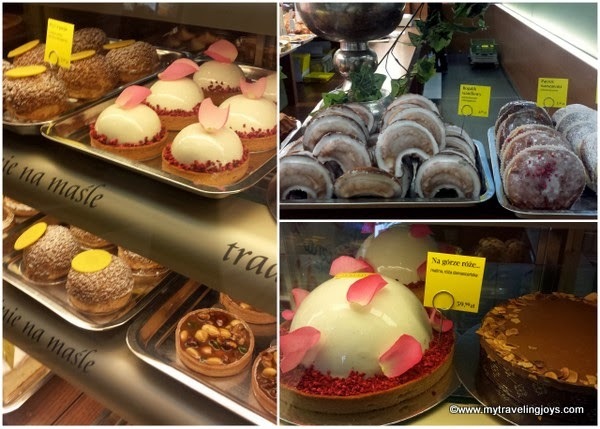 I love the cakes here, especially the walnut or chocolate tortes! My only issue is that service is often slow, but I keep returning because the cakes are that good! 3. 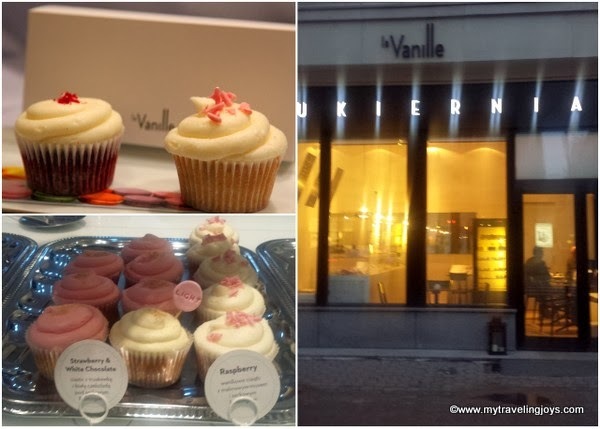 If you’re craving American cupcakes like I do now and then, then La Vanille, ul. Krucza 16/22, is your best bet. Cupcakes aren’t nearly as popular in Poland as they are elsewhere abroad. However, La Vanille does a decent job of replicating American tastes with Red Velvet, chocolate peanut butter and tiramisu flavors. Next visit, I’ll remember to stop by earlier as the chocolate cupcakes seem to sell out quickly. 4. Przegryź, Mokotowska 52, is a funky café located in a boutique-filled neighborhood. I’ve stopped here a few times to sample the sweet desserts made by pastry chef, Dominika Krzemińska, who also teaches baking classes at CookUp Studio like I do. In fact, I’m taking one of her baking classes in two weeks so I can learn how to make some traditional Polish pastries like faworki. The menu features an extensive list of Polish and European dishes as well as a unique doggie menu if you have your four-legged friend with you. Stop by to sample one of Krzemińska’s delicious tarts! 5. Though I find the décor of Słodki Słony, ul. Mokotowska 45, a bit tacky, this Magda Gessler venture is always busy. Inside this English-looking cottage house, you’ll find a long pastry display case filled to brim with meringues, cakes, tarts and other pastries. It’s worth a visit if you grab a sweet treat to take home. I’ve only eaten lunch here, but several of my expat friends seem to love Słodki Słony. 6. Another place that reminds me of the cafés in Vienna is Café Bristol, ul. Krakowskie Przedmieście 42/44 (Hotel Bristol Warsaw). The culinary creations of the hotel’s Patisserie Chef, Grzegorz Walicki feature the legendary, chocolaty Bristol Cake, layered mille-feuille, Black Forest cake and many other desserts with intricate garnishes of tuiles and chocolate décor. I’ve stopped by the Bristol simply to grab two slices to take home so hubby and I can enjoy together. The signature Bristol Cake is my favorite here so far! By the way, the Bristol’s new lunch menu includes a hot entrée with soup and mineral water for 56 PLN. 7. Located in most of the malls in Warsaw, which I find odd as there’s no seating, Lukullus is a high-end pastry shop that uses only “natural ingredients.” Lukullus, founded in 1946 in Warsaw's Praga district by Jan Dynowski, a former master confectioner at Wedel, seems to feature the city’s most modern flavors such as limoncello, rhubarb, passion fruit and Madagascar vanilla. According to the company’s website, the current pastry chef, a third generation family member, attended the prestigious Parisian culinary school of Le Cordon Bleu. This would explain why the desserts look more elegant and modern than other places. Surprisingly, you’ll only find this name in Poland’s capital. Wishing you a sweet Valentine’s Day wherever you may be! 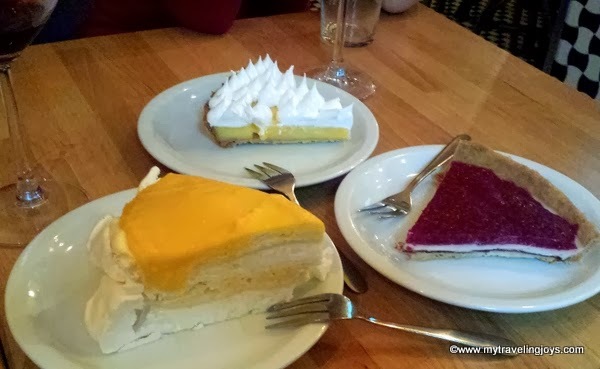 omg..you are in dessert heaven! I really really wish I hadn't just read this. Do I have any chocolate in the fridge? May be you will find it interesting and you will seek to see some of these films. 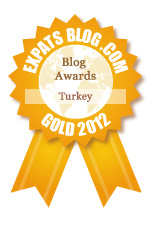 Take good care and looking forward to reading more of your traveling joys! Nice recommendations :) One of my favorite romantic spots in Warsaw is a restaurant in Mokotow called the Akademia Restaurant. This place is very romantic and elegant, and they serve truly delicious food - from delicate appetizers to amazing and unique desserts. It is definitely a perfect place for a romantic date! Happy Fat Thursday in Poland…Almost!